— The MoVE Project (funded by Health Education England): Examining the benefits to the NHS of professional U.K. healthcare volunteers completing placements in low-income countries. — The Ethical Elective Placement Project (funded by Health Education England): Examining the impacts of UK Nursing, Midwifery and Allied Health Professional students of completing education placements in low- and middle-income countries; including the analysis of student learning outcomes, the impact on the hosting healthcare systems, a cost benefit analysis and the design of a model for up-scaling such placements in Uganda, India and elsewhere. 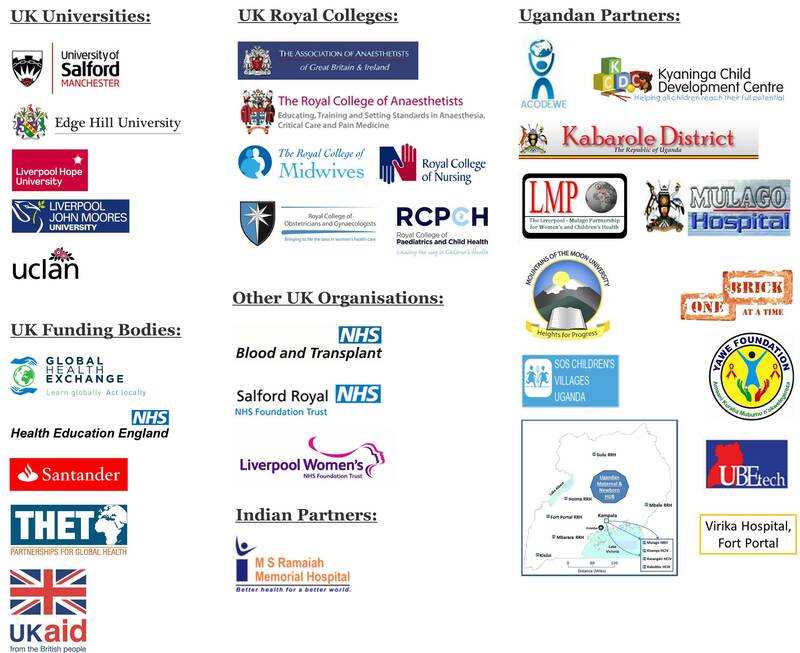 — The Biomedical Engineering Project (funded by the UK Department for International Development through the Tropical Health Education Trust): Improving the capacity of biomedical engineering staff and medical equipment technicians in Uganda, particularly in the areas of equipment procurement, maintenance and disposal. — The Hand Hygiene Project (funded by the UK Department for International Development through the Tropical Health Education Trust): Providing infrastructural developments and staff training to improve infection prevention and control systems in Ugandan health facilities. — The Mountains of the Moon Partnership (supported by the British Commonwealth Fellowship Scheme): The University of Salford has played an instrumental role in providing training and mentoring for staff from Mountains of the Moon University (and various other K4C health facility partnerships) in the areas of nursing and midwifery.